But how did he get here, by boat? When one of our sons went off to England to study, a boat he did take. We have not been in a plane since the 70s, since cluing in. Upper atmospheric emissions are far graver than down here below the clouds. There was even some US study about continental temperatures the short period after Sept. 11/01 that suggested the drastic underestimation of the effect of such emissions. Although the historical record is hazy or only by traditional tellings (but never to be discounted as such! ), history-changing effects flowed from other upper atmospheric disturbances in the past. In any case, just where is all that carbon to be absorbed up there? In other words, particularly for most air travel is the notion of offsets preposterous. I credit Monbiot, too, for a lot of his topical work. But on one closely related matter he fell down terribly: Did anyone notice the barely passable but still notable recent CBC teevee piece on Sept. 11? The evil and shame associated with those events — including as it is connected with what Monbiot et al would like to see curtailed by the unlikely Harper and Prentice –; the evil and shame were it properly dealt with by journalists such as he and politicians Green, would do more to dislodge the recalcitrant nexus around the petroleum industry than flying around to meetings and writing columns. I see from the column that he felt it appropriate to fly — fine. He writes of ugly political repercussion — just so. But what keeps him from joining the dots all the way, by adding the deepest politically manipulative dimension of all, as it ties in $ & oil & hegemony and, as exemplary Christian David Ray Griffin would have it, satanic forces (Jewish tradition has more subtle names for it, but that’ll do; the UCC Moderator must know of Griffin as major process theologian, no? ), such as were all wrapped up in the Sept. 11 story Monbiot failed terribly on? For some serious stuff in a Green Party venue, see my contributions throughout webpages http://www.greenparty.ca/blogs/103/2009-09-11/sept-11-remembrance-gpus and http://www.greenparty.ca/blogs/930/2009-07-24/hutterites-photographs (esp. later comments there). The CBC thing was youtubed and can be seen probably from The Fifth Estate site itself but I saw it here, http://www.911blogger.com/node/21984 . As usual, partly why I almost never watch teevee, the video added next to nothing to the audio, other than possibly useful glances at participants’ faces. 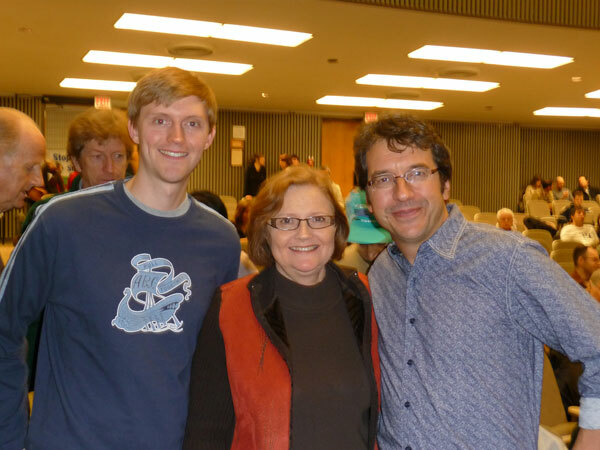 And it isn’t bad to see Tindals smiling with Monbiot.